You are here: Home > MCSD News & Alerts > MCSD News & Alerts > CMS News > Escape Room Event at the Y! 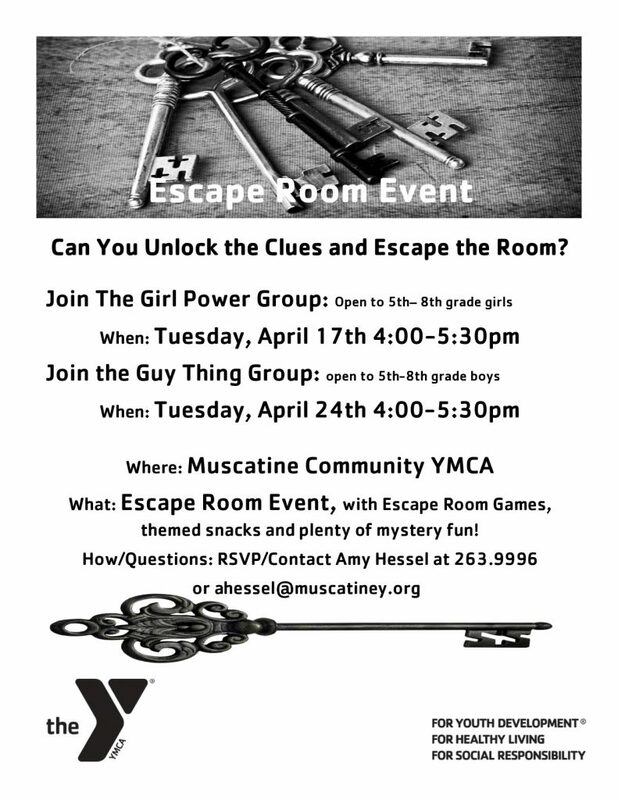 Description: The Muscatine Community YMCA will be hosting two Escape Room Events. Girls are invited Tuesday, April 17th and Boys are invited Tuesday, April 24th from 4-5:30pm. The events are free and open to all 5th-8th graders. For more information or to RSVP contact Amy Hessel at the Y at ahessel@muscatiney.org or 563.263.9996. Registration is open NOW!